The moves are aimed at reducing the environmental footprint of a business that packages water from natural springs and transports it over long distances, with many bottles ending up polluting the oceans after they’re discarded. Previous efforts to reduce the amount of plastic used, such as shrinking the size of caps, have made only minor differences. Now, as consumer groups and politicians step up pressure, the biggest players in the business are looking at more radical measures. Danone’s Evian Renew system is made up of a base dispenser and an exchangeable 5-litre bubble that contains the water. The recyclable bubble contains 66 per cent less plastic than a 1.5-litre Evian bottle, and features a skin so thin it contracts to a new shape after each use and collapses once empty. 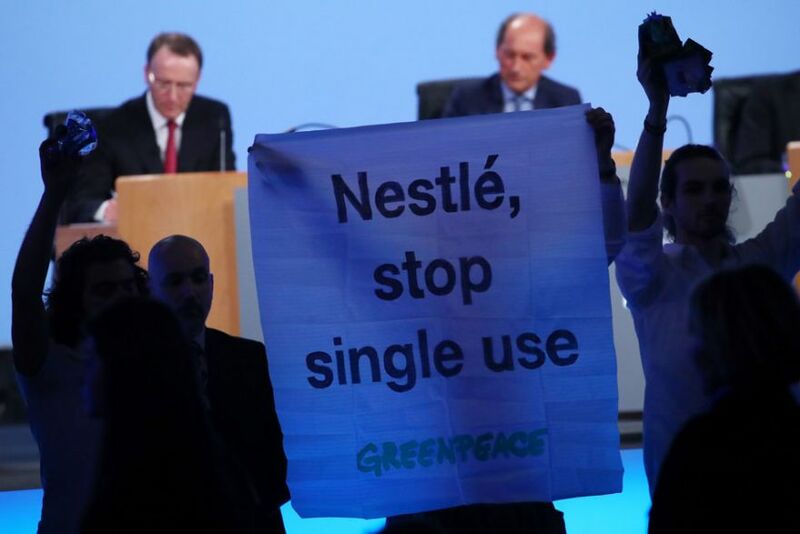 Nestle Waters’ system, to be introduced early next year, will allow consumers to access filtered water that can be customised with flavors or carbonation, a spokesman said, without providing details. While water coolers are office fixtures, Danone may have to overcome consumer reluctance to fill limited kitchen space with yet another appliance. Fizzy-drinks dispensers from SodaStream International, which PepsiCo bought for US$3.2 billion last year, have managed to break through. Evian will start a four-month pilot phase with 200 consumers in Paris and London in September, aiming to roll out the system more broadly later. A Danone spokeswoman said pricing is still under review.